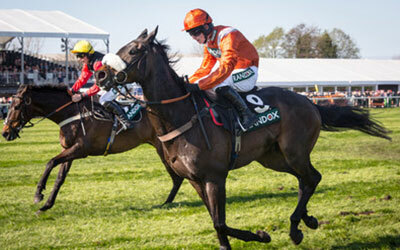 This year’s Grand National winner will celebrate with English bubbly instead of French Champagne for the first time in the horse race’s 172-year history. Paul Fisher, Chief Executive of Jockey Club Racecourses, said: ‘It’s great to be working with Coates & Seely and we’re really looking forward to a prosperous partnership over the next three years. Demand for home-grown wines has soared in recent years, with last summer’s heatwave leading to a record grape harvest and a vintage year for English and Welsh wine. It’s claimed the National’s recent switch to ITV1 from Channel 4 will also see one in four Brits place a bet along with 600 million viewers worldwide, with a staggering £650million wagered. Nicholas Coates and Christian Seely, co-founders of Coates & Seely, added: ‘We are delighted to have been appointed an Official Partner by the Jockey Club, which is a major accolade for our young brand.